A large part of our focus has been on spreading awareness of the Presidential Pledge signed by candidate Trump last year. The Trump administration is poised to take a strong lead on enforcing the rule of law on the Internet with the confirmation of Senator Jeff Sessions as Attorney General. In his confirmation hearings, Sessions said he would enforce the obscenity laws (which the Obama justice department failed to enforce). The pending confirmation of Judge Gorsuch for the Supreme Court is equally critical, since the majority of the laws advocated for by EIE in the 90’s were either struck down or not upheld by the Supreme Court and youth around the world have paid the price with the loss of innocence. It is vital that our leaders uphold the rule of law and advance public policies designed to prevent the sexual exploitation of children online and to make the Internet safer for all. 1 - Use #DrainTheCyberSwamp in your social media postings to show support of the need to prevent the exploitation of children online. 2 - Click here to show your support of the Presidential Pledge for the POTUS to uphold the existing federal laws designed to prevent the sexual exploitation of children online. We plan to send the names of those who sign the Citizen's Pledge to the Trump administration, so please sign soon. We need your financial support in order to continue to fight to prevent the exploitation of children online. Will you stand with us? Thank you in advance. When a nation is divided, as some may say ours is, perhaps the problem is not with the Internet and social media in and of itself, but the loss of a culture of human dignity and respect that has made this nation stand strong even in the most turbulent of times. We are all ready for a culture change - one in which we read messages that cyber "edify" instead of cyberbully, one where we return good for evil and take the #highroad. 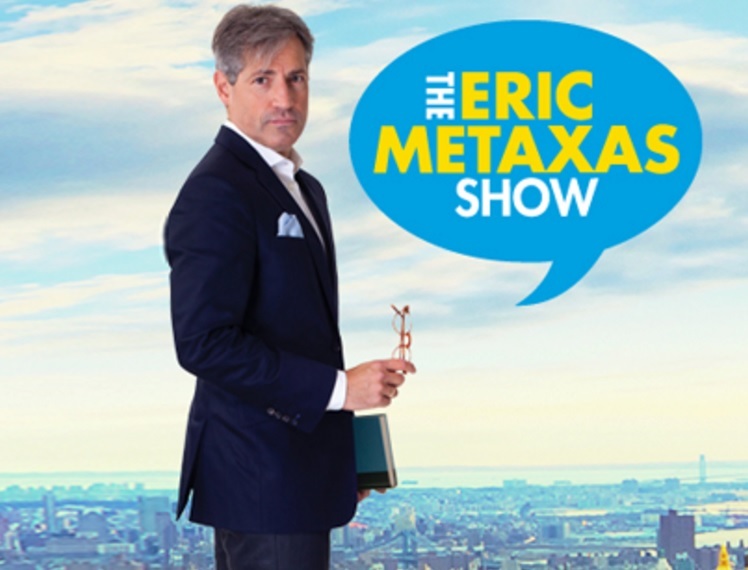 On February 14, 2017 EIE President Donna Rice Hughes appeared on an hour-long broadcast of The Eric Metaxas Show to discuss EIE's current efforts including the Presidential Pledge, The High Road Challenge and other initiatives.